If you’re being threatened with serious criminal charges by Gladwin County law enforcement or the Gladwin County Prosecutor’s Office, then you need good representation now. Criminal charges can be intimidating, and they know this; don’t let them use your fear to trample all over your rights. 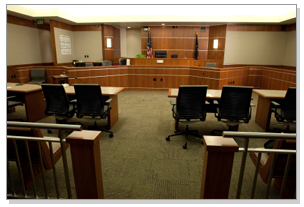 Only a tough criminal defense attorney can stand up to police, prosecutors, and accusers. It takes an effective and aggressive criminal attorney to guarantee you fair treatment under the law. The defense attorneys of The Kronzek Firm PLC are ready to aggressively defend your rights in the face of overwhelming pressure from prosecutors and police. We’ll sit down with you to make sure you understand the law and how it applies to your case as well as what options you have available to you. We will work with you and listen to your ideas about the case. We know how to build a winning defense strategy, and we’re ready and able to work toward the same kind of results that we’ve gotten others all across Michigan. Don’t wait until prosecutors already have you on the fast track to jail to call us. The sooner we are retained to work on your case, the more our intervention can do to help you. We’re ready to represent you in Gladwin’s 55th Circuit Court or its 80th District Court, and our attorneys are available to consult with you. If you have a pending case in Gladwin County, don’t leave your fate to chance. The The Kronzek Firm team can help! Contact us today (866)7NO-jail.